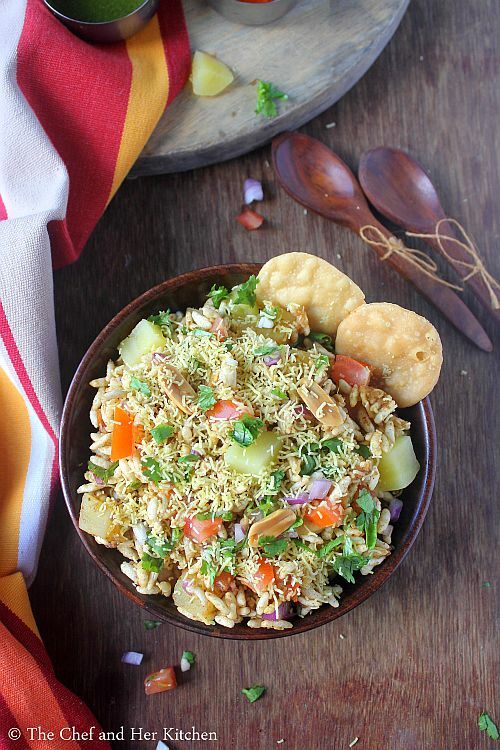 Bhel puri is one of the most popular chaats that is available in various variations all over India. 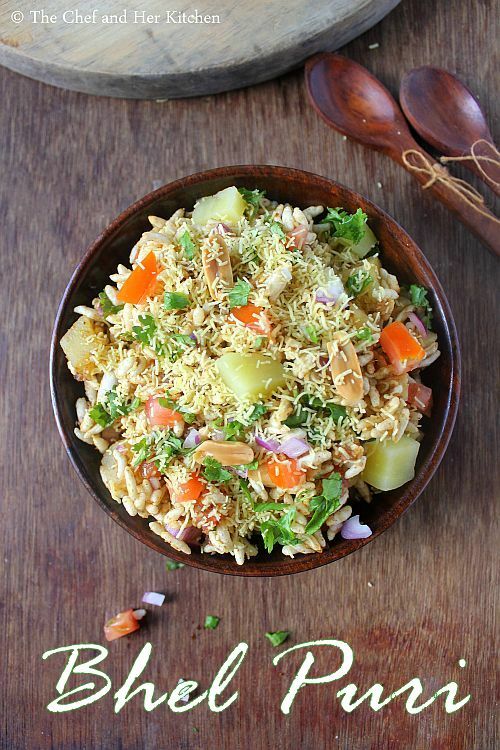 There are several versions like Sookha Bhel puri, Mumbai style Bhel Puri, Delhi style Bhel Puri, kolkata style Jhalmuri, Karnataka style Churmuri, Beach style Bhel puri to name a few. I love all the variations as everything tastes good on its own.Today I am posting a typical Mumbai style Bhel puri and whats makes it different from the typical Delhi style Bhel puri is the addition of Lahsun(Garlic) Chutney in Mumbai style Bhel puri. In Mumbai you find these Bhel puri- Sev Puri waala, Sandwich waala in every nook and corner of the city. Though I was bit hesitant to try at the road side chaat waalas, I have tried various chaats from many famous chaatwalas and loved the taste of it.I have already posted a dry version of Bhel puri known as Sookha Bhel puri in case you want to check it out.There are no hard and fast rules for the addition of ingredients in the bhel puri, one can prepare according to their personal preference. Separate the garlic cloves and peel the skin and blend with red chili powder,lemon juice,salt and 2-3 tbsp of water to a smooth paste.You can refrigerate this chutney and use it upto 15-20 days. If the puffed rice is not crispy heat it in a kadai on low flame until they turn crisp,switch off the flame and keep it aside. 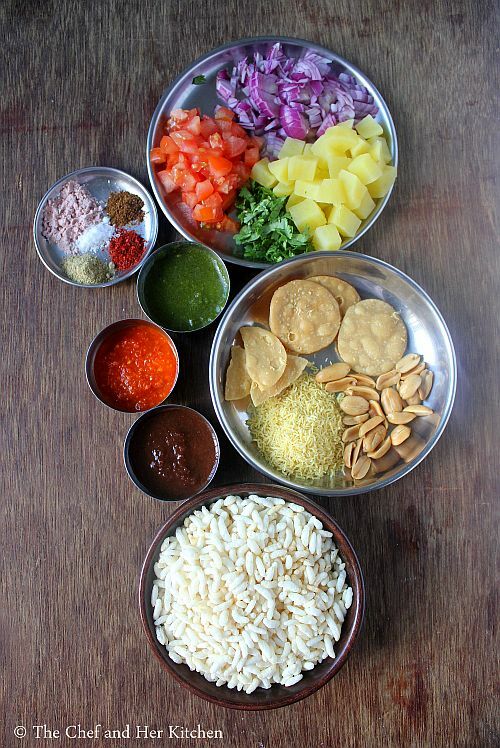 Keep all the ingredients like chopped vegetables, chutnies and masalas handy before you proceed to make the bhel puri. In a large bowl add finely chopped onions, boiled potato, tomato, coriander leaves(reserve few for garnish), green chutney, meeta chutney, garlic chutney, salt, red chili powder, cumin powder and chaat masala and mix nicely until everything is mixed. Now add crushed papdis and roasted peanuts and give a stir and then add the puffed rice and mix nicely and serve it in serving bowls immediately.Taste the bhel puri and adjust the seasoning accordingly. 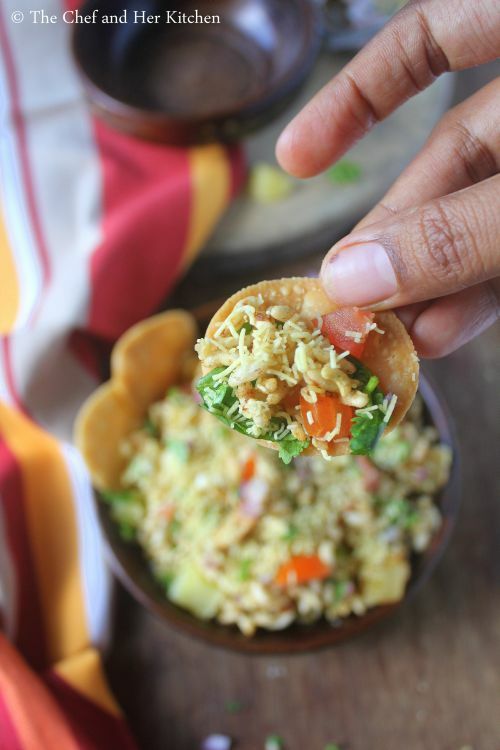 Garnish with generous amount of sev and coriander leaves and serve with papdis.You can use papdis to eat the bhel like a spoon. Add papdis, peanuts and puffed rice to the vegetable mixture and mix just before serving otherwise it will turn soggy. There are no hard and fast rules for the quantity of ingredients in the recipe, you can play around according to your taste buds. You can even add few pomogrenate kernels while garnishing. 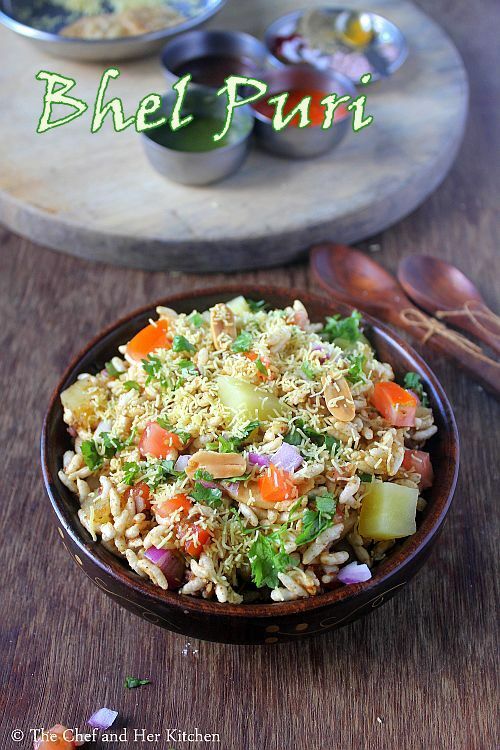 The addition of Lahsun chutney(Garlic chutney) makes it typical Mumbai style Bhel, you can avoid it to make a North Indian Delhi style Bhel puri. You can even add a handful of steamed moong sprouts or boiled kala chana to the bhel for a variation. 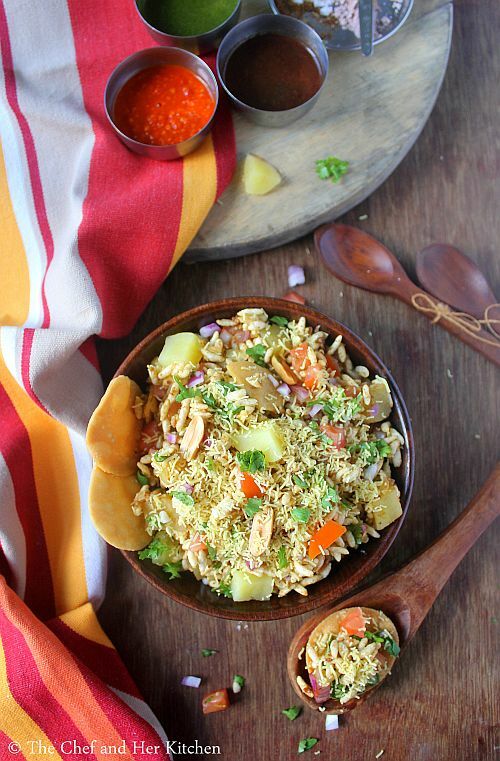 If you like it more tangy you can add a bit of lemon juice while preparing the bhel puri.